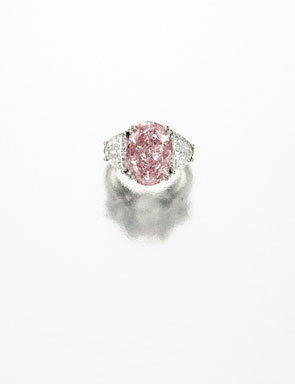 A Fancy Intense Pink Diamond and Diamond Ring, Oscar Heyman & Brothers Weighing 6.54 carats, Internally Flawless. Estimate $4/5 million. Photo: Sotheby's. Fancy Intense Yellow Diamond and Diamond Pendant-Necklace, Van Cleef & Arpels, New York, 1978. Set with a heart-shaped Fancy Intense Yellow diamond weighing 47.14 carats, formerly in the collection of the Duchess of Windsor. Estimate $1.5/2 million. Photo: Sotheby's. The Lauder Jewels Comprising exceptional white and fancy colored diamonds and jewels from esteemed houses such as Van Cleef & Arpels, Harry Winston, and Oscar Heyman, the Lauder collections exemplify exceptional quality and timeless elegance. Most notable among the many highlights in Evelyn Lauder’s collection is a rare and magnificent Fancy Intense Pink Diamond ring, its remarkable color bringing to mind the cause she so tirelessly championed. 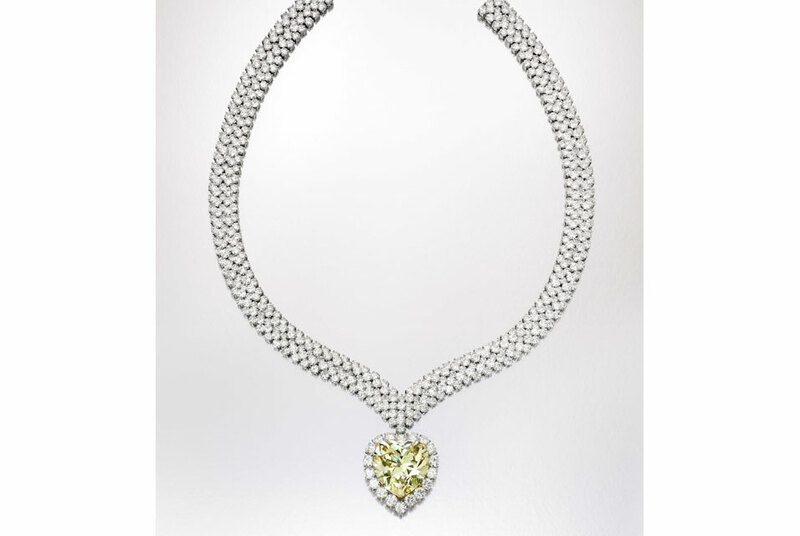 At the center of Estée Lauder’s collection is a large heart-shaped yellow diamond, formerly worn as a ring by the Duchess of Windsor and later mounted as a necklace for Mrs. Lauder by Van Cleef & Arpels. The collections are completed by a very fine selection of wearable evening and daytime jewelry, all reflecting the classic style and good taste of the women who wore them. The offering of these spectacular jewels to benefit The Breast Cancer Research Foundation represents a wonderful opportunity to participate in the continued generosity of a great American family.